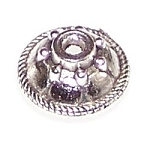 Bead Caps and Bead Cones are designed to go on the end of beads and give a unique finishing touch to your work! 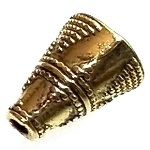 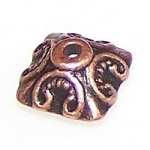 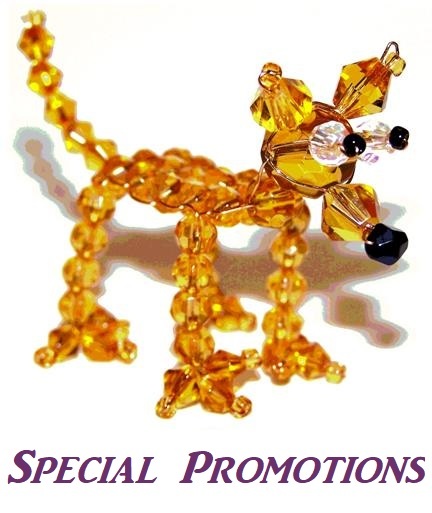 We have a huge selection of bead caps and bead cones in many beautiful finishes like Antique Bronze, Antique Copper, Gunmetal, Silver, Shiny Copper, and More. 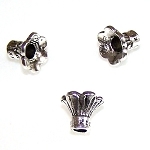 The earrings to the right feature four different styles of antique silver-plated bead caps and illustrate the importance of bead caps in jewelry design.